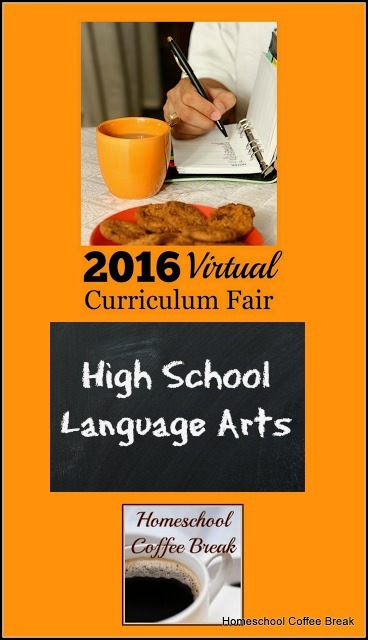 Welcome to the 2016 Virtual Curriculum Fair! I'm probably one of the last to have my post ready for this first week of the fair, but I'm going to plan better for the remaining weeks! If you haven't already visited the other Curriculum Fair bloggers, or our hostesses, please do so - the links are at the bottom of this post! Thank you to Laura at Day By Day In Our World, Chareen at Every Bed of Roses, and Kristen at Sunrise to Sunset for hosting and organizing this event! We're talking about "Playing With Words" this first week, and all things to do with Language Arts. For the first time in my homeschool journey, I have only high schoolers. Getting through high school level grammar, essay-writing, and literature study was something that worried me a little coming into the high school years, and although my first two students graduated and managed fine, I still felt like I was a newbie coming into this year. Of course, my students are all a little different in their interests and needs in this area of study, so we're not doing the same thing the older boys did. Here's what we've done and how it's working for us. 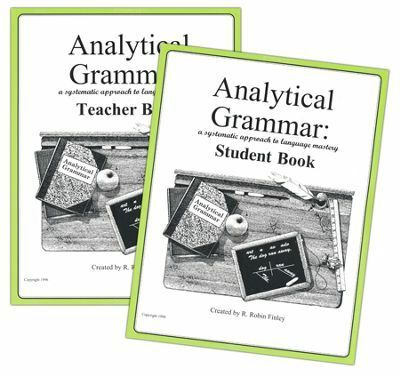 I consider grammar and composition as essential for high schoolers; at least the basics for every student, and more advanced writing skills are needed for students headed to college. I think that the Student Writing Intensive Level C from IEW provides both, and my students are both working through that course this year. We are working on the lessons together, and generally speaking, both kids rather enjoy it! At least the video portion of the lessons. And I especially like that the bulk of the teaching is done by Andrew Pudewa instead of by me! This curriculum is a good fit for both of them, despite their different learning styles and interest in writing, because they start by focusing on developing good writing skills without worrying about the content. Landon is honing his writing skills, although he isn't planning to be in college in the fall semester; and Kennady is developing good writing skills as a freshman, and I think she'll really benefit from taking the Level C course early in her high school career. She definitely takes to writing far more than my boys. For grammar, we've chosen different curriculum for each of them based on different learning preferences. Landon (11th grade) is using Analytical Grammar and Kennady is using Fix-it! Grammar. Landon is a "just the facts" kind of guy, and just wants to get right to the point and move on. So Analytical Grammar works well for him. No fancy presentation, no clutter or decoration. In fact, although each unit has three exercises and an extra skills practice assignment as well as the test, we have been using only one of the exercises. I expect him only to sufficiently demonstrate that he understands the concept presented before moving on, so we have not needed to do all of the lessons. We hit the highlights and keep going. Kennady, on the other hand, is a story-teller, so Fix-It! Grammar is a great fit for her. This grammar course from IEW can be used for all ages, and teaches parts of speech, punctuation, and everything else grammar related by having the student rewrite a story a couple of sentences at a time. Younger students can go through the book(s) much more slowly than older students and learn the same material. Kennady has a great background in grammar already, so we do a week's worth or more of Fix-It! lessons at a time, and in a relatively short sitting. As the concepts get more complex, we'll be prepared to slow down if we need to. For the most part, our literature study has been tied to our history study because we've relied on Exploring World History and Exploring America (both from Notgrass) for high school. 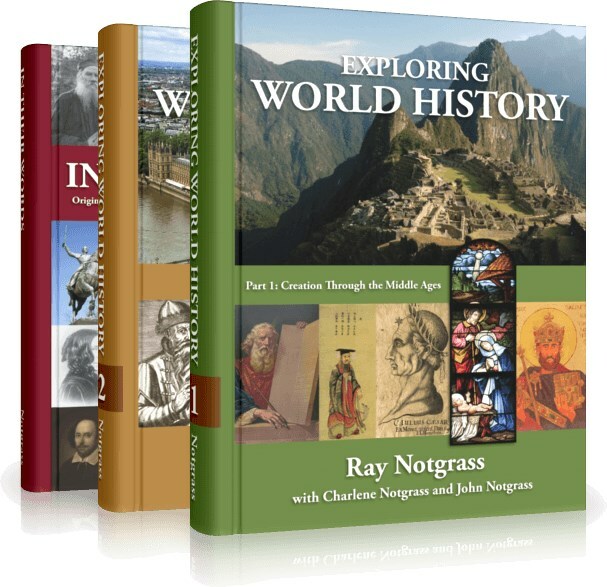 These two high school level history courses, when completed as suggested, are worth three full credits - one each in History, Bible, and English or Literature. Landon did the World History course last year, and is doing US History this year. Like my older two boys, Landon isn't much interested in reading, so we've reduced the number of novels he is required to read during the course and I award a half credit instead of a whole for that portion of the course. And y'know what? That Lightning Lit study is intended for Grade 10 at least, so if we need to cut some of the reading to keep her from getting bogged down in it, that is not a problem. I expect that when she gets to the Notgrass studies next year and the following year, she will probably read almost all of those novels. Although their interest in reading novels is changing, my goal has been to have them read a selection of important literature as it ties into the study of history. I want my kids to have an excellent foundation on which to build if and when they go to college. What are your favorite high school level Language Arts curriculum choices? Leave a comment and let me know! Also, please visit my fellow homeschool bloggers as they share thoughts on "Playing With Words" in this week's Virtual Curriculum Fair. I love hearing of what you used and why you choose what you choose. Thanks a great helpful post! We use IEW for Ele Language Arts and LOVE it, I'm sure it will be the same through High School! Pinning to my High School board! We are using almost all of these as well. I haven't used the Lightning Literature studies, but I think I remember reading those Crew reviews, and I might have to check it out.